With any new development or training, we often find ourselves wanting to try something new and need a simple example to get us going. 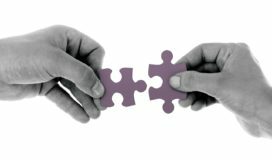 In this post, I’ll demonstrate BizTalk 2016 using a simple hybrid integration scenario with Azure. 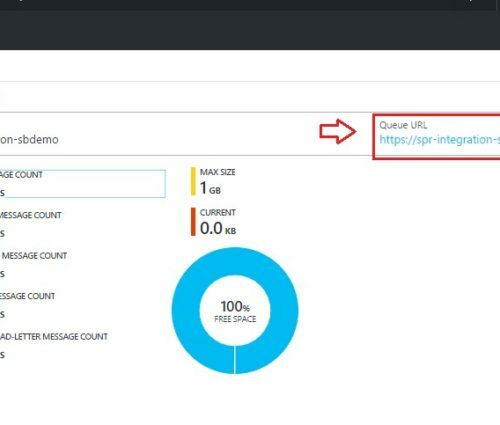 This simple hybrid demonstration will use BizTalk to pick up a file, securely send it to an inbound Azure Service Bus queue and trigger a Logic App to get Facebook or Twitter data. 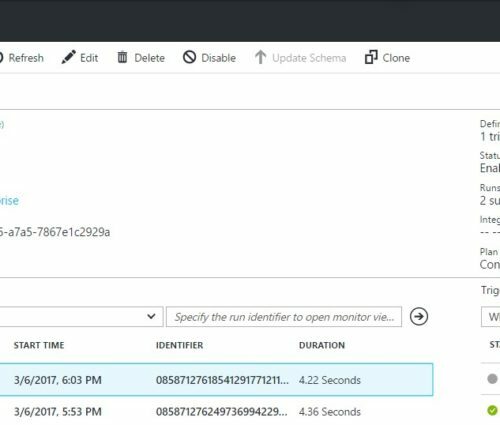 The data will be sent to an outbound Azure Service Bus queue and BizTalk will securely pick it up and send the messages to a folder location. 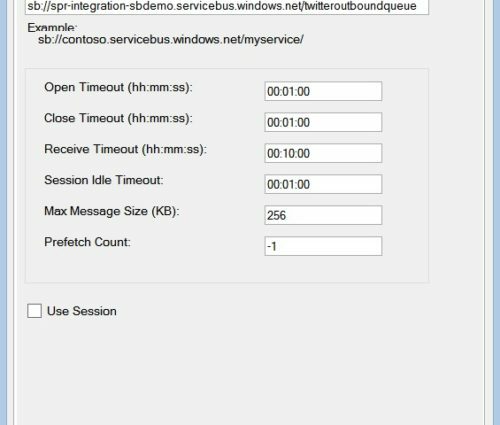 First let’s create a service bus queues we will use in Azure. Login to your Azure subscription. 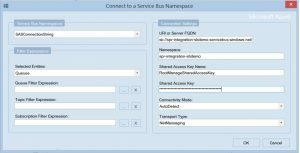 Once it is provisioned, you can search for service bus and select it to get to Service Bus blade. Create a service bus queue that we can send files to. 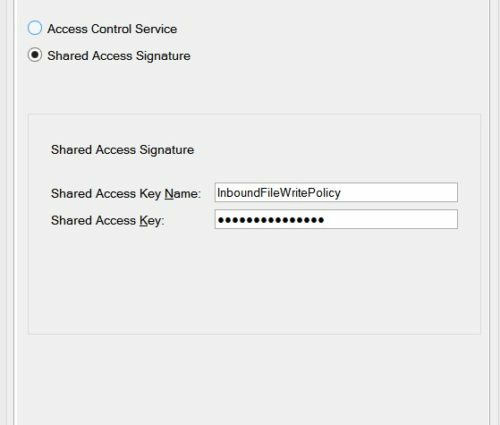 Now let’s create a policy for our InboundFileQueue so that you can securely send files to the queue using a Shared Access Policy. 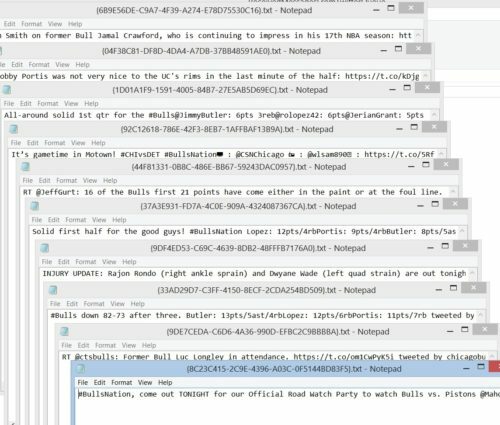 Once your InboundFileQueue is created, select it. You will see the following that will get generated for an application to use. Primary key (blacked out). We will use this later so you might want to copy it into a notepad. Next we’ll create two Service Bus queues that we can receive files from. The first one we will send our Facebook timeline posts and the second queue we will send our Twitter tweets, both of which we will pull from BizTalk. Click plus sign Queue icon. Fill out the Create Queue blade. Again we will create a policy for our FacebookOutboundQueue. This time our policy will allow you to only securely receive files in the queue using a Shared Access Policy. 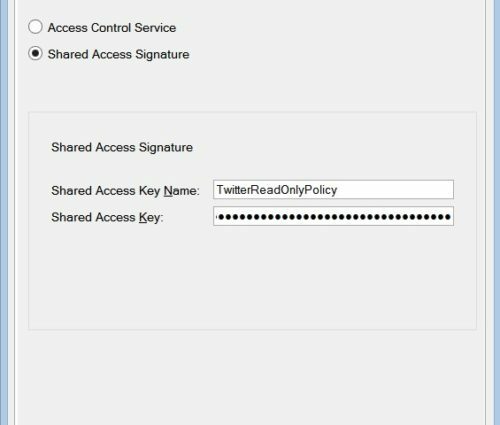 Click the plus sign Add icon and populate the Add new shared access policy blade. Repeat these same steps, and create the Twitter queue. Your queue name will be TwitterOutboundQueue. 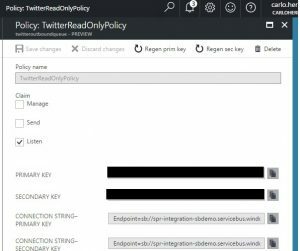 Your policy name will be TwitterReadOnlyPolicy. Here are the two policies once you have them created. Now we will create a basic Logic App that will read from the inbound Service Bus queue. 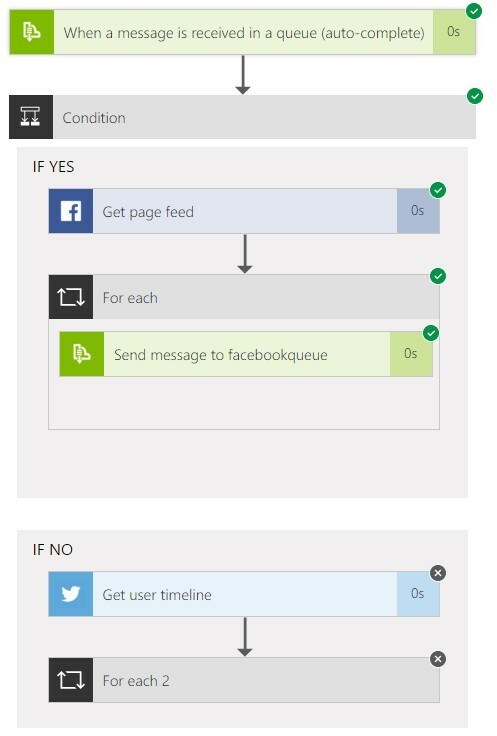 It will get either the Facebook or Twitter data, and post to an outbound queue for BizTalk to pick up. The trigger uses the Service Bus connector. It will trigger this Logic App workflow when there exists a message in the InboundFileQueue. We set it up to check for messages every 10 minutes so we can look at the queue. More on this later when we execute our process. If Yes, then it will use the Facebook connector and call the Get Page Feed method to get the posts from the Chicago Bears Facebook page. It will then send it to the Facebook Service Bus Queue. 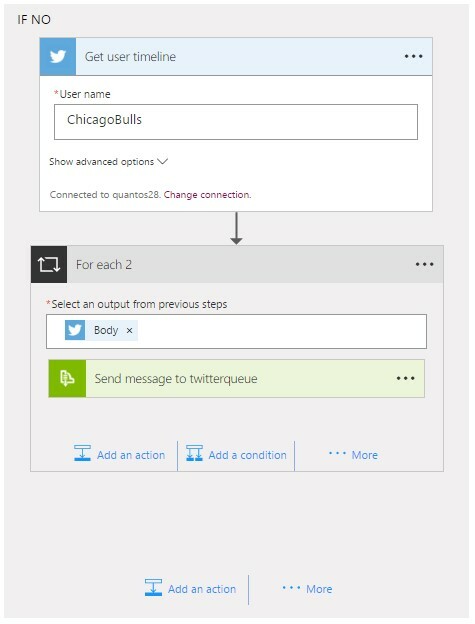 Otherwise, it will get the Twitter tweets from the Chicago Bulls timeline and send it to the Twitter Service Bus Queue. Setup the Folders In Windows Explorer. 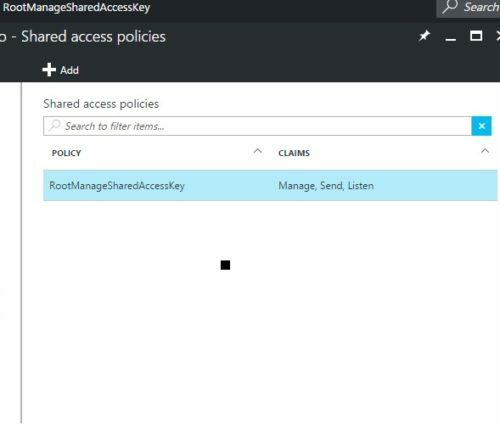 Go into the properties for this folder. Under the Security tab, click Edit to change the permissions. If the BizTalk service account of the host instance is not listed here, you will need to add it and set it to full control. Created a facebook.xml and twitter.xml file, which will contain a field called type. This will be used in the logic app to determine whether to get the Facebook or Twitter data. Create a receive location to pick up our trigger file. 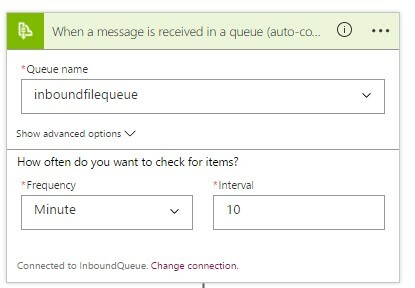 Create a send port that will subscribe to the RP.PickupFileToSendToAzureServiceBusQueue receive port. 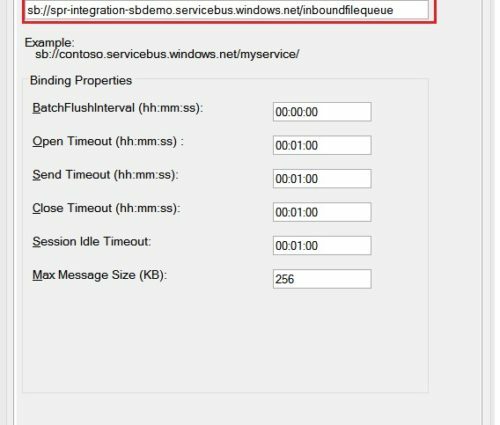 Click the Configure… button to configure the servicebus connection. 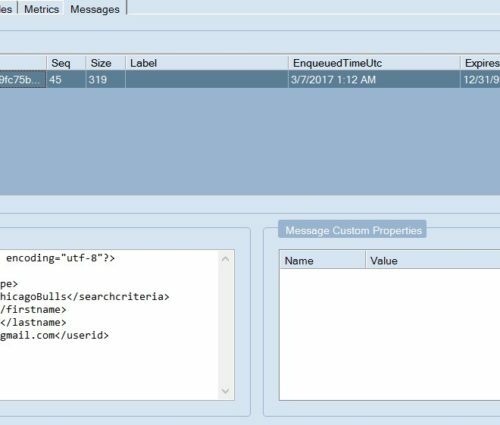 In the General Tab, we will need to get the servicebus url for the InboundFileQueue. 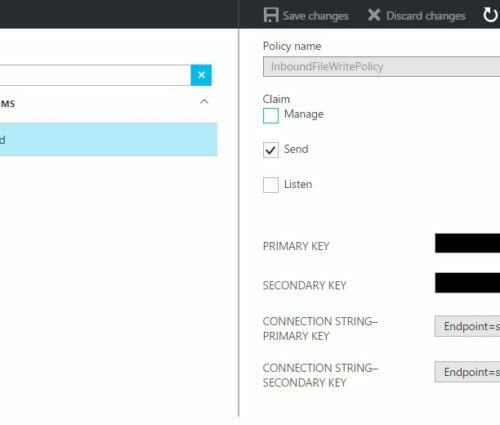 In the Azure Portal, under servicebus -> InboundFileQueue -> Overview property. Replace the “http” with “sb” and this will be your Destination URL. 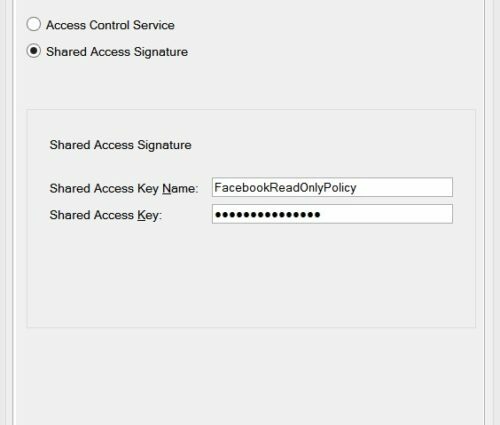 In the Authentication Tab, we need to configure the Shared Access Signature credentials. 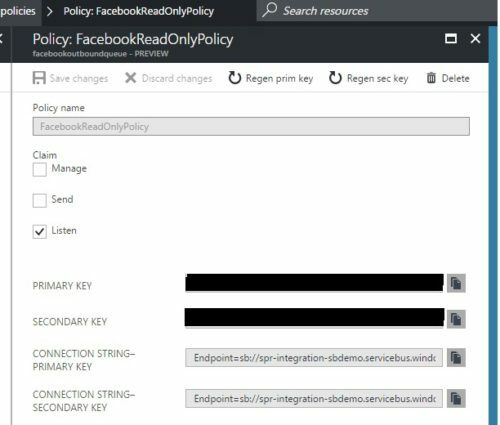 Create a receive port for the Azure Service Bus Facebook queue. 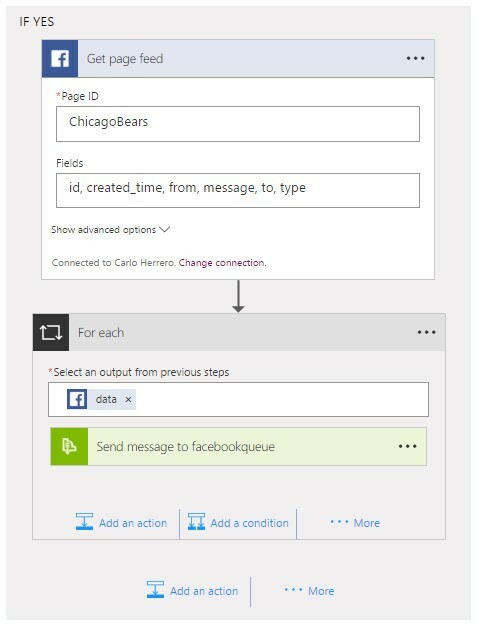 Create a receive location for the Azure Service Bus Facebook queue. 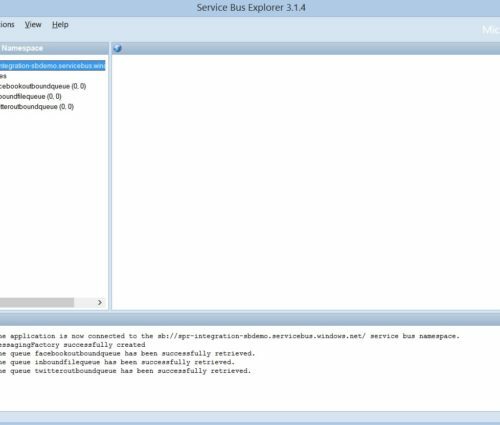 Click the Configure… button to configure the Service Bus connection. 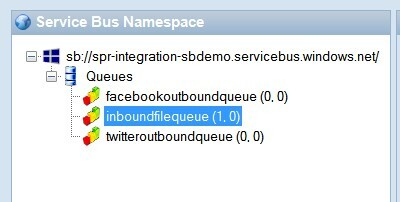 In the General Tab, we will need to get the Service Bus url for the FacebookOutboundQueue. 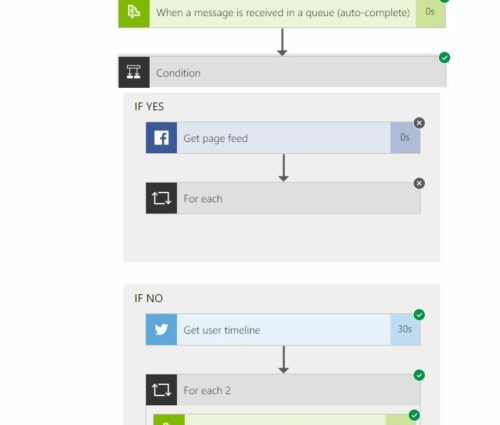 In the Azure Portal, under Service Bus -> FacebookOutboundQueue -> Overview property. 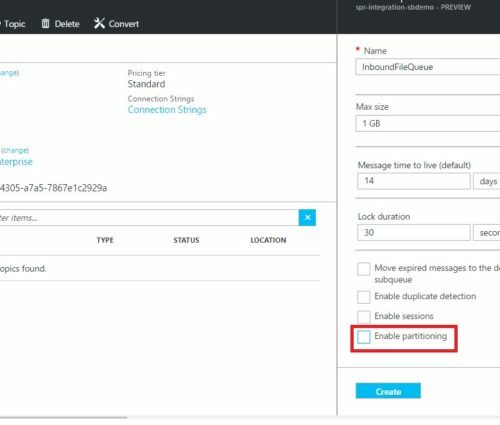 Create a receive port for the Azure Service Bus Twitter queue. In the General Tab, we will need to get the Service Bus url for the TwitterOutboundQueue. 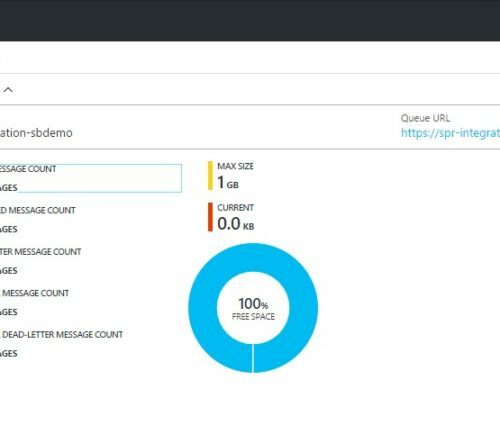 In the Azure Portal, under Service Bus -> TwitterOutboundQueue -> Overview property. Under Platform Setting, Host Instances, make sure your host instances are started. Let us run and test our process. 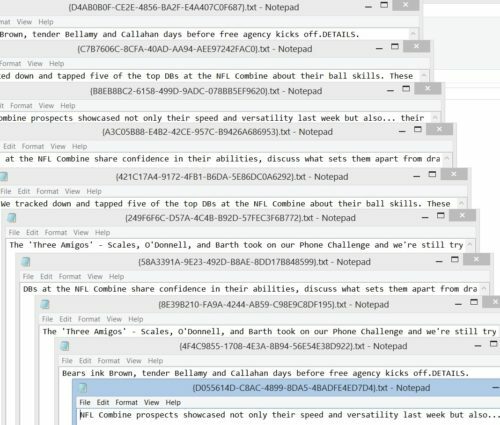 First, trigger the process to go get the Facebook posts. Copy the facebook.xml file and drop it into the C:SBDemoSendToServiceBusQueue. 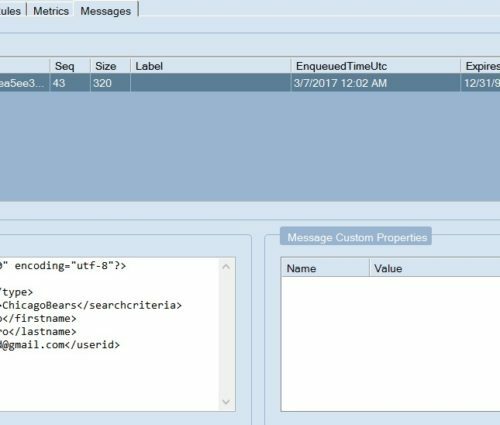 In the Service Bus Explorer, you can see one message in the InboundFileQueue. This shows the Logic App fired and succeeded in processing. We can see each step in the Logic App executing correctly. 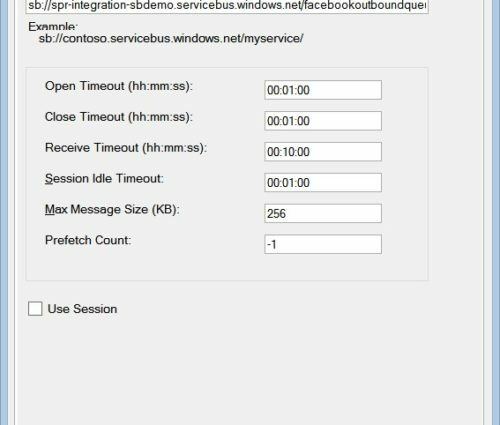 It received the message, checked the message type, called into Facebook and sent the messages to the service bus queue. 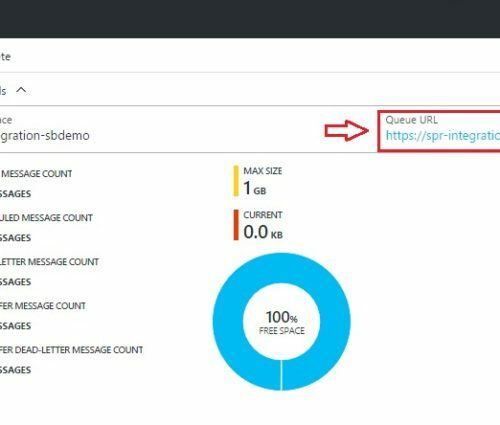 You can see BizTalk then pulled the messages from the Azure Facebook Service Bus queue and sent them to the folder location. Now let’s get the Twitter feeds. Copy the twitter.xml file and drop it into the C:SBDemoSendToServiceBusQueue. 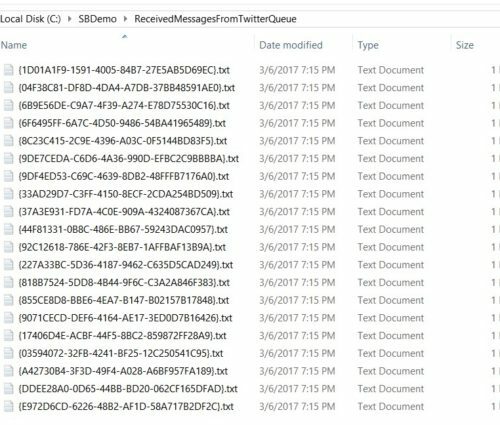 You can see BizTalk then pulled the messages from the Azure Twitter Service Bus queue and sent them to the folder location. 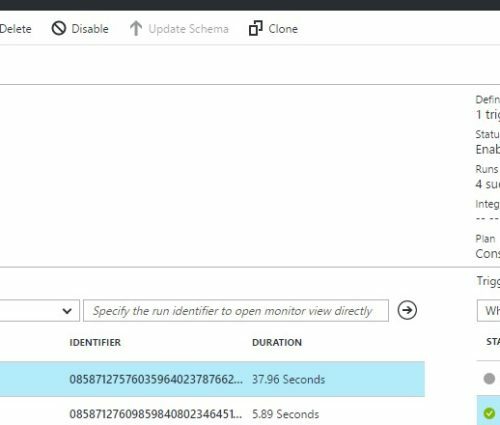 That wraps up this simple hybrid integration sample with BizTalk 2016 and Azure Service Bus. Hopefully, this was simple enough to for you to try, get your feet wet and have fun with it.